SAI Consulting Engineers, Inc. was recently involved in a bridge slide in Pulaski Township, Beaver County, PA. We provided construction services for Joseph B. Fay, including providing design support for the bridge slide itself. Joseph B. Fay was only given a single 5 day closure to complete the bridge slide/replacement, which they successfully completed the week of October 1, 2018. 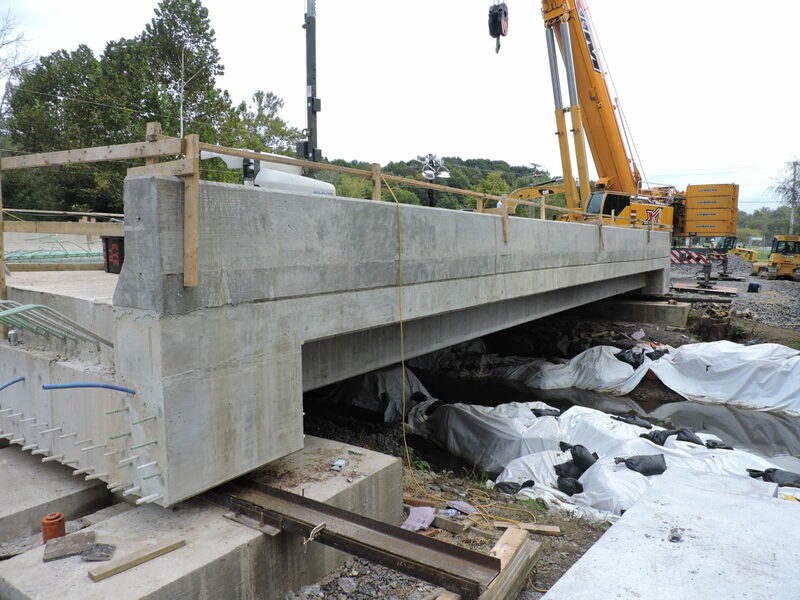 The replacement structure was built off-line on temporary abutments, and during the closure, permanent precast abutments were placed, and the bridge was slid into place using rollers. Subsequent roadway work was completed before the end of the closure, and the bridge was reopened to traffic.